Former New York Times and Washington Post correspondent Elizabeth Becker spoke in the Ralph Bunche Library at the U.S. Department of State about her research for Overbooked: The Exploding Business of Travel and Tourism, published in 2014. In 1980 there were 250 million tourists. In 1995, 500 million. By 2012? One billion tourists roved the planet in search of someplace different than home. Then there’s the environmental impact of the mammoth cruise ships, idling buses, trains, planes, ferries or cars they rode in on. Where ever that someplace may be, there’s an impact – sometimes positive, often negative. 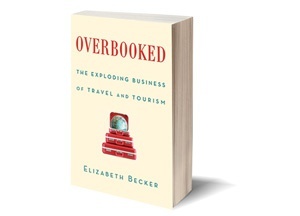 Elizabeth Becker discussed the research and analysis behind her new work “Overbooked” The Exploding Business of Travel and Tourism published by Simon & Schuster in 2014. Becker pointed out that tourism provides opportunities for advancing public diplomacy and ran us through the efforts of savvy countries like France, Costa Rica, China and others with national marketing programs. Everybody wants to attract tourists from BRIC countries and from China most of all. France harnessed the economic power of tourism decades ago. The “well-heeled, educated tourists” leave their RMB, Rupees, Reals, and Rubles throughout France, not just Paris. France shaped an integrated win-win marketing strategy that drills down to agricultural networks so provincial inns will have enough succulent organic lamb chops for the menus. Every week, a cultural festival in different regional towns ensures a steady stream of visitors. The tourism ministry even issued a detailed marketing report on how to attract Chinese tourists. Anyone who’s been out and about during the 21st century knows about the crowds of people in security screening lines, the ragged lines of weary travelers waiting for taxis, the wait at airport check-in kiosks or counters, and there they are blocking the aircraft aisles while cramming stuffed baggage into overhead bins. The one billion tourists spend their money. Too bad they aren’t leaving their moola in the U.S.A.
There’s no national tourism marketing program for the U.S.A. Alas, the U.S. government abandoned international promotion of U.S. tourism around 1995. Since 2011, tourist traffic to the States has flat-lined, creating what’s called “the lost decade” by travel industry professionals, said Becker. During the same decade, the number of tourists roaming the world nearly doubled. In 2009, more Chinese people ventured to Paris than anywhere in the entire USA, including Hawai’i, Becker pointed out. 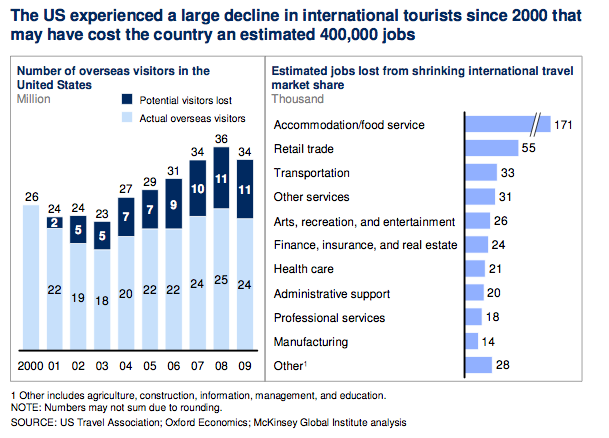 U.S. government efforts to leverage tourism to improve the international image of the U.S. are lightweight or non-existent. Tourism marketing is left to the individual states, Becker pointed out, but most states don’t have the resources to integrate with regional or national travel networks, let alone market themselves to lucrative overseas markets. 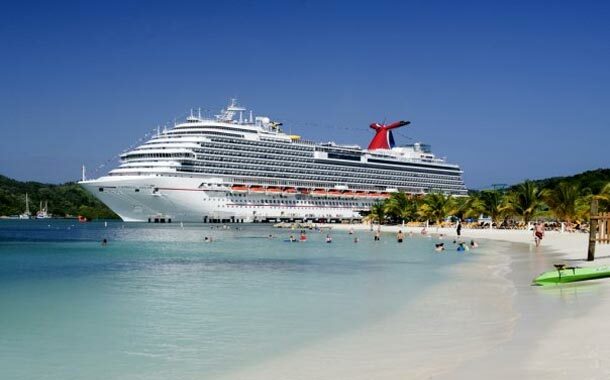 The impact of gigantic cruise ships damages the ocean ecosystem and shore environments. Fragile Venice receives 20 to 24 million tourists a year. I wonder if there is an internal migration issue as well, as in China, Mexico, Brazil and elsewhere. Farm families go to the big cities or regional tourist destinations to work on hotel construction or service jobs. Many rural people can no longer afford to live in their own region because there’s not enough work that pays a living wage. 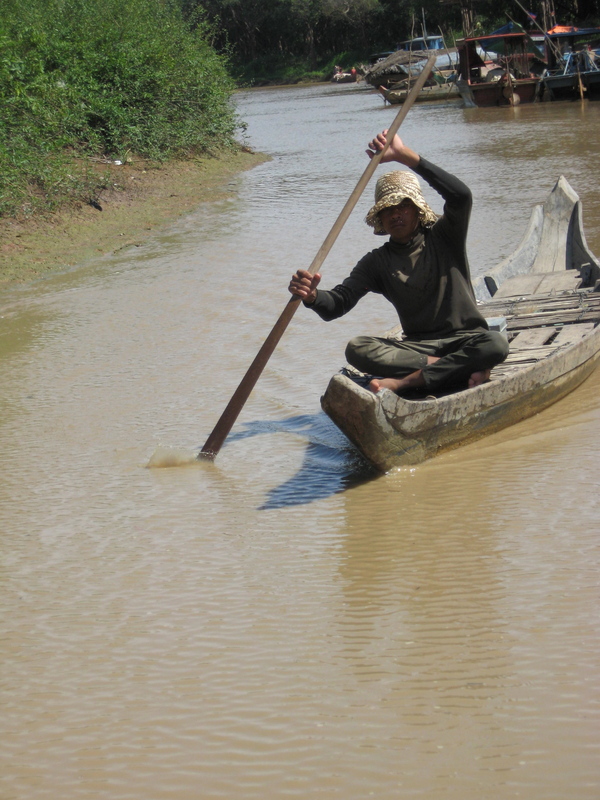 Angkor Wat took in 800,000 tourists in the first quarter of 2013, yet the province of Siem Reap, in which the vast archeological site and city of temples Angkor Wat lies, is now Cambodia’s poorest area with devastating environmental degradation and declining water resources. It’s not all bad though – Costa Rica practically invented eco-tourism thirty years ago and maintains highly sustainable programs. African game safari tourism outfitters are key stakeholder in protecting animals and communities, Becker commented. Alaska is heavily invested in showing Asian tourists the natural treasures of the Arctic. She mentioned that the U.S. could encourage residents and citizens to learn foreign languages to be better hosts for those potential visitors. Could the incentive of jobs in the tourism sector motivate students, educators and policy makers to deal with the foreign language learning deficit in the United States? This entry was posted in Books, Education, Geography, Tourism Business, Travel and tagged business of travel, culture, global citizen, travel journalism, world travel. Bookmark the permalink. Adventure unfolds anyway, despite the effects of mass tourism. Your thoughts and comments are welcome.